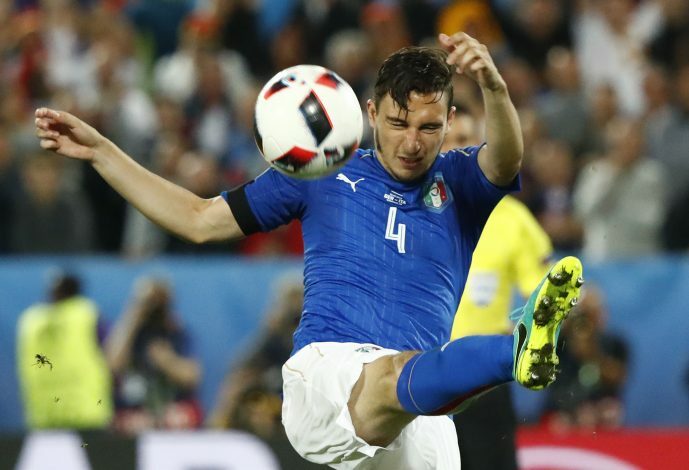 Matteo Darmian is set to bring an end to his spell at Manchester United and join Juventus in the summer, according to reports in the Italian media. The right-back has been on the Turin club’s radar for quite a while now, and after months of speculation, he could finally see a move take place at the end of the season. Darmian has fallen out of favour at Old Trafford, and has made just 2 starts in the league all season, adding to the growing speculation that he is on his way out of the club. Jose Mourinho clearly doesn’t trust the Italy international to play ahead of Antonio Valencia at the back, and that is evident by his lack of appearances this season. Juventus have been keeping a watchful eye on his situation at Manchester United, and are keen to snap him up. The Serie A champions are on the lookout for a right-back to replace Stephan Lichtsteiner, who is 34, and will be out of contract at the end of the season. Darmian would be a capable replacement, and according to reports (via Mirror), both Juventus and United have reached an agreement over his transfer to the Old Lady. Mourinho’s men have also been linked with a move for Tottenham’s Danny Rose for quite a while now, and should he sign in the summer, it will all but seal Darmian’s departure. After an initial bright start to his career in England, the Italian has lost his mojo, and has struggled to establish himself in the first team at United. A return to his native Italy will hopefully see him recapture his best form.